All students with a College email address can download Office 365 ProPlus, on multiple devices. Please visit the direct download link to get started! For assistance with downloading and installing Office 365 ProPlus, please visit the troubleshooting page. On the Hub specializes in providing software access for members of educational institutions. Please visit https://tri-c.onthehub.com for the currently available software. 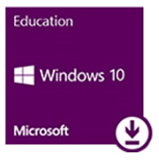 One of the most recent additions is a free download of Windows 10, available to all our active students with a College email adress. For assistance with On the Hub, please visit their dedicated help page.